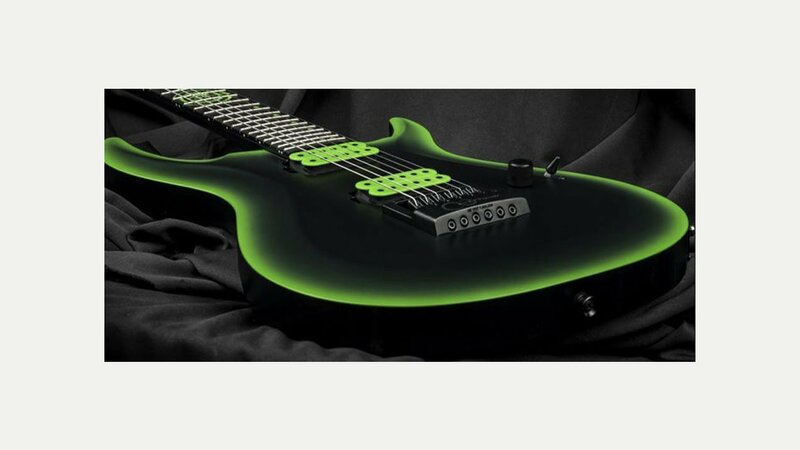 Kiesel debut the new Andy James Signature 6 and 7 string guitars. The AJ6E and AJ7E are based on the Crescent Series, with a unique set of limited options chosen by Andy to suit his playing style, as well has his personal tastes. The AJ6E and AJ7E have an alder body, maple top and 5-piece maple neck, and are finished in jet black, with a clear satin top coat. Great finish!